Now that summer is coming to a close, the commencement of a new school year is amongst us. For some it’s an exciting time; for others (much like our kids) we dread it, simply because of the expenses that are involved. Not to worry! We’ve compiled a list of suggestions to help you cut down on costs while still providing the very best educational experience for your children. Start with what you already have –– Do an inventory of leftover materials from the previous school year and determine what your child has, what they need, and what they can do without. Create a list ­­–– Many teachers create a list of materials that they will require throughout the year. Examine the lists for duplicate materials and purchase to your child’s need or by teacher demand. Establish a budget ­­–– Before hitting the stores, determine a budget that is reasonable, keeping in mind that you may need to replenish some of these materials throughout the school year. Find the best deals –– Check the Sunday paper for bargains, coupons or promotions available before purchasing something that may be over-priced. 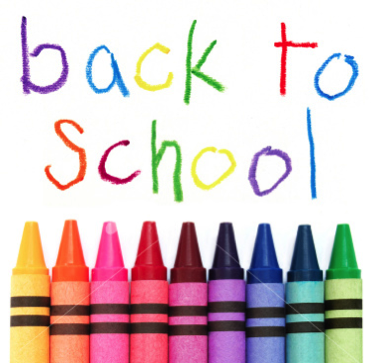 Do you have any helpful tips for getting more for your buck during back to school? Share below.